Here’s the latest Cincinnati painting titled, Sacred View of Cincinnati. This is one of the more complex views we’ve done of the city. It’s getting close, so stay tuned on the progress. This commissioned piece is being done for a close friend I’ve known for many years. Can’t wait to see it hanging on his wall. 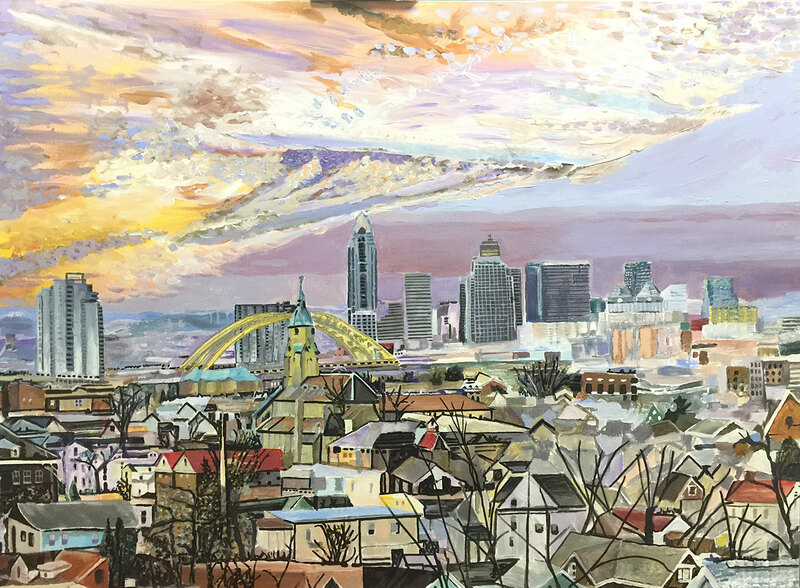 If you’re interested in a one these Cincinnati skyline paintings or commissioning your own masterpiece call Jeff Johns today. 859.630.9657. Click here for the contact page. This entry was posted in artwork and tagged Art of Cincinnati, artist, artist that paint cincinnati, Artists that paint Cincinnati, artwork, Cincinnati, Cincinnati Art, Cincinnati Artist, Cincinnati Artwork, Cincinnati Fine Art, cincinnati fine artist, cincinnati fine artist jeff johns, cincinnati Jeff Johns, Cincinnati Painting, Cincinnati Paintings, Cincinnati Photography, Cincinnati Skyline, Cincinnati Skyline Art, Cincinnati Skyline Paintings, Cincinnati Skylines, cincy art, Colin Daugherty, Colin Daugherty Fine Artist, Colin Daughtery and Jeff Johns, creativejefferyj, JJCD, JJCD Cincinnati, JJCD Cincinnati Collaboration PIece, JJCD Collaboration, JJCD Collaborations, JJCD CreativeCollaboration by jefferyjohns. Bookmark the permalink.